Very Genesis influenced Floridian band who put out a coveted album in the late seventies. This is album is extremely in the Genesis style (like Marillion) yet avoids the commerciality that this band eventually dived headfirst into.) Syn-Phonic also released two bootleg quality live albums from their heyday which show them in a rather muddy light. Imagine an incredible dynamo of progressive energy in the mold of Nursery Cryme period Genesis, but with some slight punky undertones thrown in as well. Add to this the affected vocals of singer Doroccas, and you have a sound that, while not unlike a high energy version of early Marillion, pre-dated that band by five years. They only released one self-titled studio album around 1978, featuring four long cuts. Hopefully someday that fine album will be reissued on compact disc. A few years ago, two limited issue LPs of their live show were released, (Night Over Never and Better Conditions For The Dead) which included all of the songs from the original album, plus several other tracks not included on the studio LP. While the quality of the recording is no better than an average bootleg, the performance on both of these live albums is incredible. 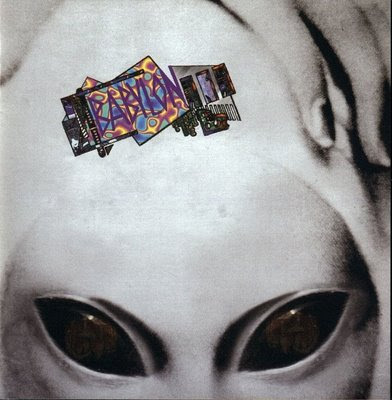 Babylon, in some ways, is better than Nursery Cryme-era Genesis, although certainly not nearly as innovative, given that their album was recorded in '77. Detectable influences include peak-period Genesis, Gentle Giant, a bit of Zeppelin, even. The vocalist has a very high voice, Plant-like in tone, but phrased more like early Gabriel (if you can imagine that). There's some vague resemblance to Rush, but much more progressive and less metallic. I wish they'd been better recorded; the home-grown qualities of the studio album detract from its appeal, though it's certainly better than the "bootleg quality" ascribed to those live albums. If some really exceptional remastering (or remixing!) is done for the CD reissue, this could be a major winner!